This 3 bedroom pool villa is very good value for money. 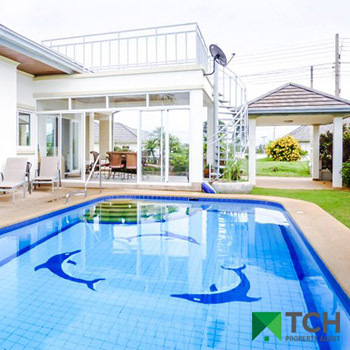 It’s located in a small development nestled in the pineapple fields not far from the seafront in Khao Tao about 15 mins south of Hua Hin. There is a lovely terrace / pool area for relaxing and entertaining plus a roof terrace from which to really enjoy the scenery. From here it’s possible to see the mountains down in Sam Roi Yot. 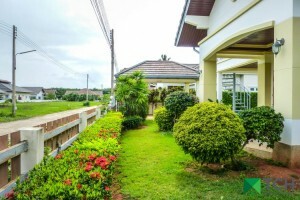 The villa has 3 bedrooms, 2 bathrooms, a nice garden and sits on a plot of 502 sqm. 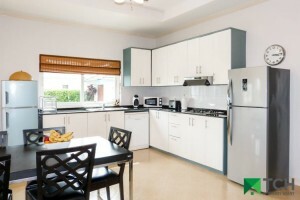 The living area is 165 sqm. 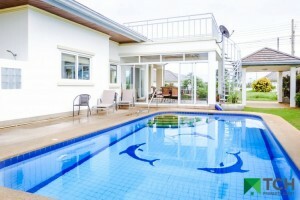 The villa is being sold partly furnished with one bedroom currently being used as a study. 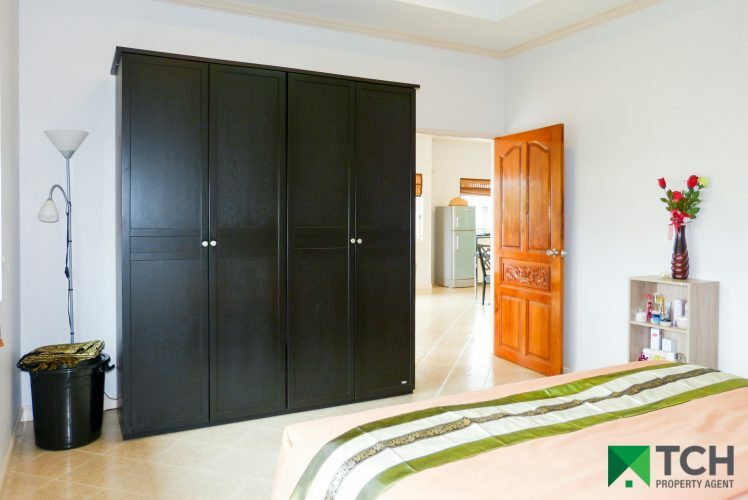 All bedrooms are fitted with an air-conditioning unit. 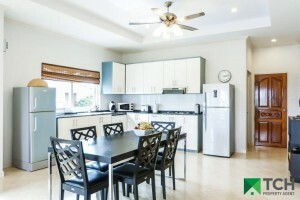 With the mountain breezes from the open spaces around the property it’s not necessary to run air con units during the day so electric bills should be kept to a minimum. Other notable features of the property are a carport, plenty of storage, a high quality fitted kitchen with appliances, 8 x 4 Metre pool with salt chlorinator, government electric rates, communal pool and an outdoor utility area. 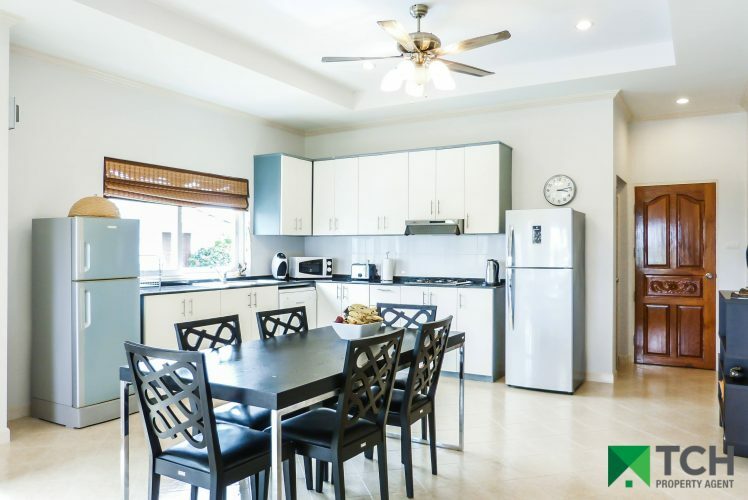 There is a low common fee of 3000 baht per month which covers 24 hr security, upkeep of common areas and rubbish collection. It has the full chanote land title and is currently owned in a company set up.